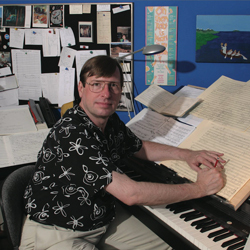 When Stephen Hartke composed his piano concerto Ship of State in 2017, he purposely wrote a piece that would send a S.O.S. to listeners that all was not going well for civilization. 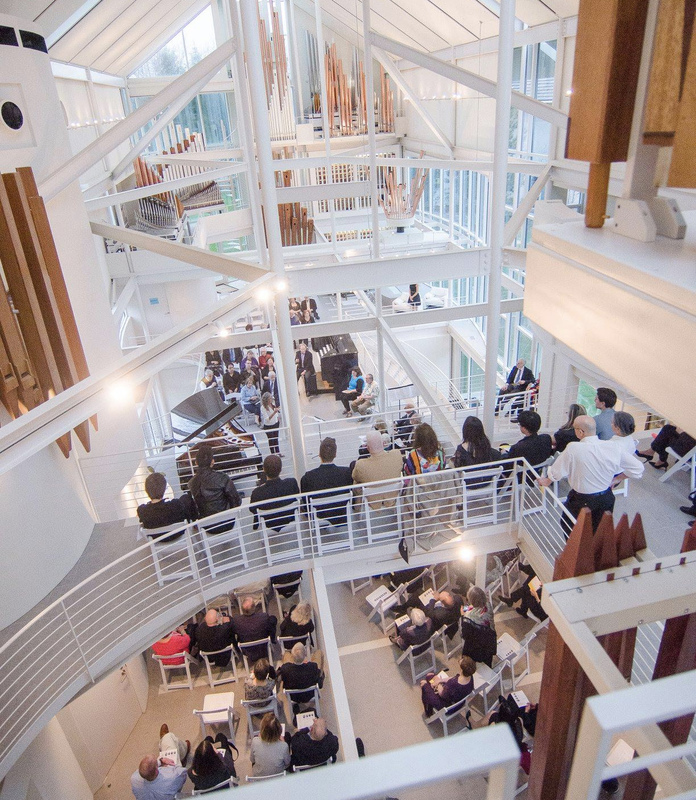 “The process of undergoing the emotional journey of writing a piece changes who you are,” Hartke said during an interview in his studio at the Oberlin Conservatory where he is chair of the Composition Department. 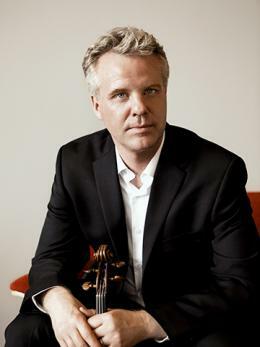 Bernhardsson, who joined the Conservatory faculty last year after 17 seasons touring with the Pacifica Quartet, was seized by the idea of marking the 100th Anniversary of the cessation of hostilities, using Oberlin’s deep musical and scholarly resources to explore the music surrounding the Great War. “Looking at the number of great chamber pieces that were written during the era, not only are they all very different, some are clearly about the war while other composers were writing as though there was no war going on at all. This became a fascinating thing to me,” he said. 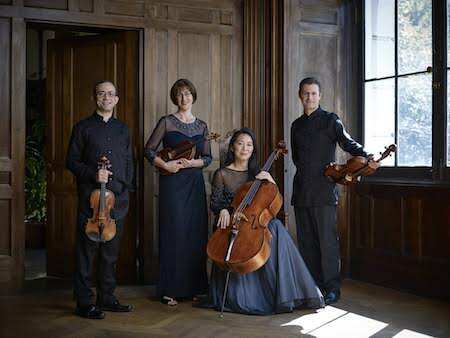 On the night of Good Friday, as the Brentano Quartet filled Oberlin’s Finney Chapel with shimmering sound, a question came to mind: what is the essence of a madrigal? Put simply, a madrigal is an Italian Renaissance form for voices full of musical effects that paint clear tonal pictures of the words being sung. More complexly, a madrigal is so shaped by its text that it constantly molds itself into new forms like Descartes’ philosophical ball of wax. 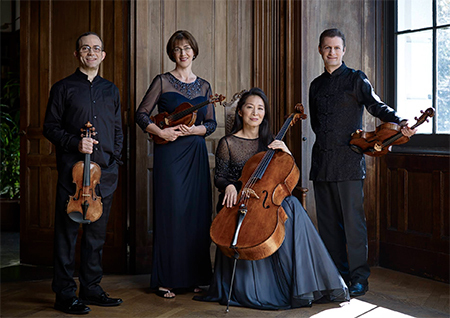 The Brentano String Quartet has an affinity for both the standard repertoire and music very old and very new. 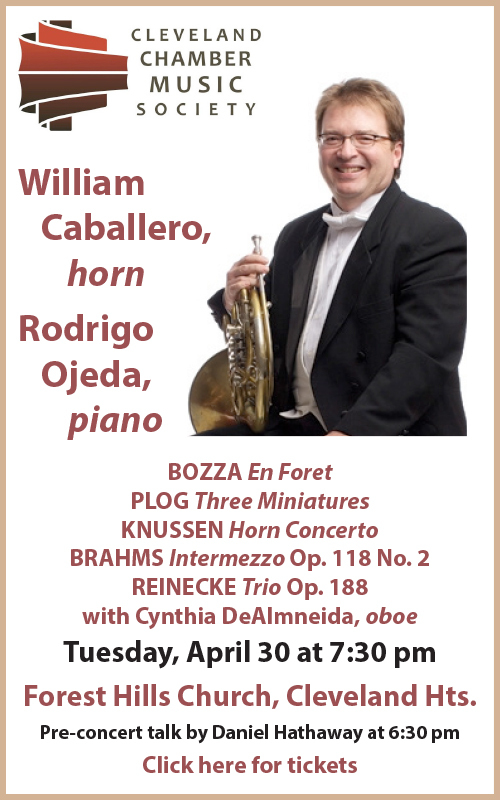 Their program on the Oberlin Artist Recital Series at Finney Chapel on Friday, March 30 at 8:00 pm covers all those bases. 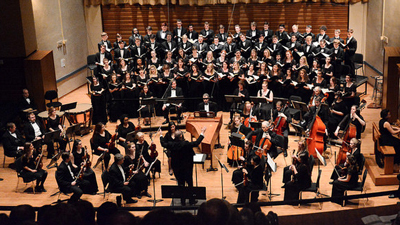 Beginning with arrangements of madrigals by Monteverdi and Gesualdo, they’ll jump 400 years to the music of Oberlin Conservatory composition chair Stephen Hartke, then close with Shostakovich’s Quartet No. 12 in D-flat. 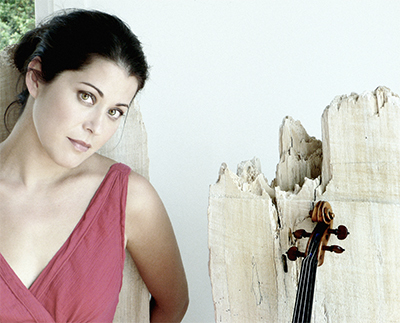 Among the Brentano’s many honors, violinists Serena Canin and Mark Steinberg, violist Misha Amory, and cellist Nina Lee celebrated the Quartet’s “silver anniversary” — 25 years — in 2017. 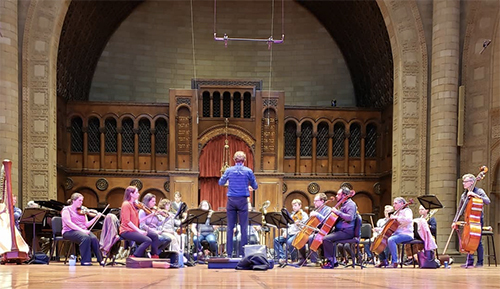 “I’m looking forward to the concert, and I have to say that the ensembles are sounding really good,” CIM’s New Music Ensemble director Keith Fitch said by telephone. 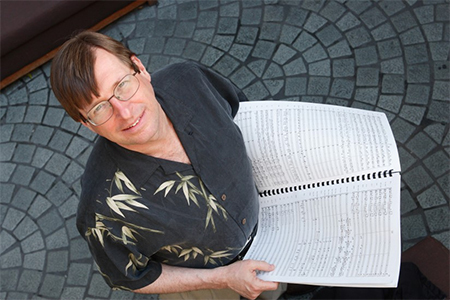 On Sunday, November 5 at 4:00 pm in Mixon Hall, the Ensemble will present a concert featuring works by Guest Composer Stephen Hartke. 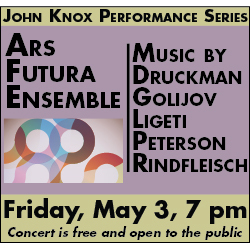 The program will also include two pieces by Donald Erb. 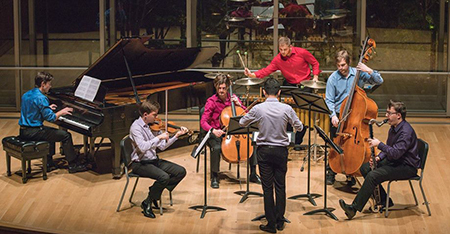 Continuing a collaboration with the Cleveland Museum of Art that began in 2014, Oberlin Conservatory’s Contemporary Music Ensemble (CME) will give the third of four performances this season on Sunday, February 26 at 2:00 pm in CMA’s Gartner Auditorium. While student vocalists have long performed with CME, the upcoming concert is the first time that a museum program by the Ensemble will be dedicated to vocal music. The program, under the direction of Gregory Ristow, will include Harrison Birtwistle’s Entr’actes and Sappho Fragments, as well as Oberlin Professor of Composition Stephen Hartke’s Tituli. Ristow is now in his second year as director of vocal ensembles at the Conservatory. 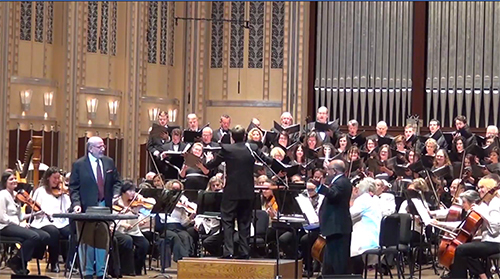 An Oberlin alumnus, he earned his doctoral of musical arts in conducting from the Eastman School of Music. 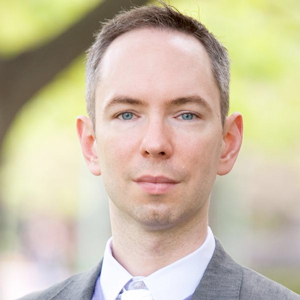 Ristow also conducts the Interlochen Singers and has previously led the Houston Foundation for Modern Music, and the Voices chamber choir in Rochester.